Wow. Where does the time go? 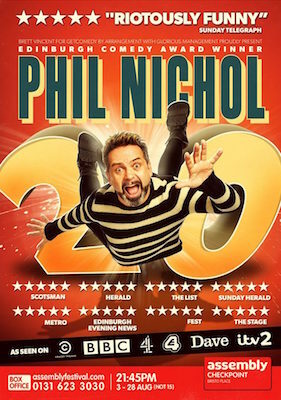 Double nominee and Edinburgh Comedy Award winner Phil Nichol celebrates his 20th year of solo comedy shows at the Fringe. 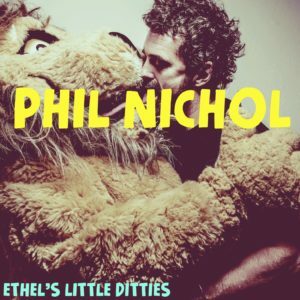 To honour this milestone Phil presents his greatest hits of the last two decades. It’ll be eye-popping, gut-wrenchingly funny! Did we mention that it’s been 20 years? If you have seen him perform live then you will know that this is going to be one of his greatest all-time performances. It’s been 20 years people! Do not miss this show. Book Early!